Shoppers love a deal. But that love might not be unconditional. As more retailers open their doors on Thanksgiving to kick off Black Friday sales, some shoppers are saying enough is enough. There are currently 71 petitions on Change.org that call for retailers and consumers to change their approach to Black Friday. The "Say No To Shopping on Thanksgiving" Facebook page has nearly 65,000 likes, while "Boycott Black Thursday" has more than 114,000. Hallie Dilworth, a freshman at the University of Tennessee, launched her petition to keep retailers closed on Thanksgiving after a friend was pressured to work the holiday at his fast food job because other stores in the mall were going to be open. "Thanksgiving should be spent at home with the family, enjoying the company and food. It should be spent being grateful for what we have, not pushing through crowds trying to get deals on things we don't even need." Her petition has 17,500 signatures. While Dilworth also doesn't support Black Friday, she knows some people enjoy it, and is only looking to preserve Thanksgiving as a shopping-free holiday. Historically, Black Friday is one of the biggest days of the year for retailers, but it's no longer a one-day event. 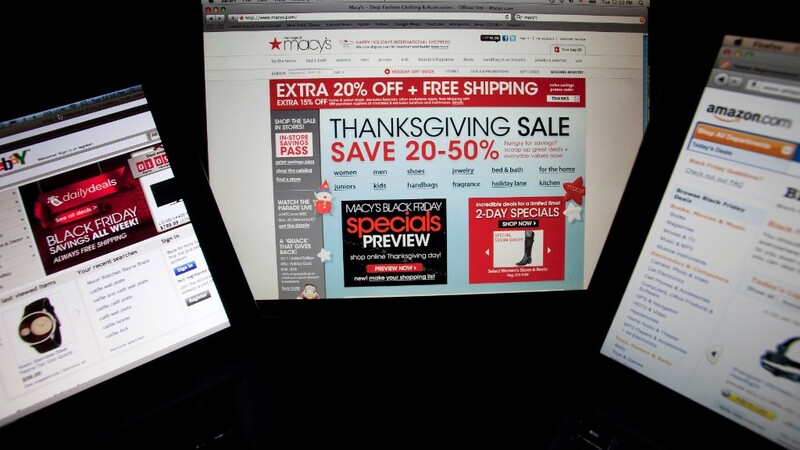 This year, the National Retail Federation said 140 million consumers report they are likely to shop over the weekend. But only 18% plan to shop on Thanksgiving, down from 23.5% last year. But there's a reason stores are open on turkey day: there's demand. "If they weren't making a profit on being open that day, you can bet your bottom dollar they would be closed," said Marianne Bickle, chair of the retailing and fashion merchandising department at the University of South Carolina. "People are shopping." The trend of opening on Thanksgiving is fairly recent, and sales are starting earlier each year. Macy's is open at 6:00 p.m. this Thursday, two hours earlier than last year and four hours earlier than the midnight open in 2012. At K-Mart, deal-seekers can start shopping at 6:00 a.m. this year, when most people haven't even started their meal preparations. Take the Black Friday quiz: deal or no deal? When one retailer opens early, more are likely to follow suit -- often referred to as "holiday creep." In her petition, Dilworth wrote: "If we go shopping the night of November 27 this year, next year the stores will open earlier, and the following year even earlier until Thanksgiving is no longer a holiday." As for Bickle, she'll spend Thursday at home with her family. But she does plan to hit the shops with her niece on Friday. "It's about more than just savings, it's also about the excitement and bonding."